Family is your refuge and strength through thick and thin. This is what the final installment of Tanging Ina movie franchise promises its fans this year through the movie "Ang Tanging Ina Mo (Last Na 'To)", one of Star Cinema's official entry to the 2010 Metro Manila Film Festival. It never failed to amuse its audience last night! I attended the premiere night yesterday at the Cinema 6 of SM Megamall. It was a star-studded event, attended by the stars of the movie themselves and the top honchos of ABS-CBN like Miss Charo Santos-Concio and Linggit Tan. The almost-complete cast were also there, headed by the Comedy Queen herself, Aiai Delas Alas, who came in with style and escorted by Piolo Pascual. The movie's plot has progressed over the years, when the Filipino audiences was introdcued to Ina Montecillo and her wacky family in its first and second installments of the film. 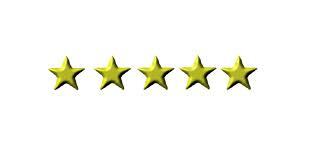 On this third and final sequel, Ina lives a normal life, backed up by a pair of Presidential Security personnel. She later learns of her current health situation and was told that she has only have a few months left to live, and as the film progresses, the situation will be blown out of epic proportions! Like the first movie, it tackled so many issues circulating a common Filipino family: financial hardships, misunderstandings between children, health problems, and personal failures. Of course, in the movie, they all survived this thriumphantly. I will not tell much about the movie, but the dramatic scenes between Aiai and the kids were acted very well, escpecially the scenes of the lead star with Marvin Agustin in EDSA. I must say, it made me cry while watching the scene, as it tackles on failure and the unconditional love of a mother, willing to accept her son in her warm arms, telling him to go back home despite all that. This is just one of the most powerful and heart-warming plots in the film that the moviegoers and fans alike will surely admire and make them say, "Aiai Delas Alas is worthy of a best actress trophy in this year's festival". Of course, the comedy featured in this flick is still one of the many highlights you should see. The tandem of Aiai Delas Alas and Eugene Domingo is still - well - one hell of a riot, as proven by the claps and laughter heard inside the cinema during the premiere. There were few parodies made in the film, but the new script, the fresh new material, and the new delivery tactics by these two actresses are proven witty and effective. Almost 90% of the original cast are there in the film except for Heart Evangelista, who in the film, only appeared through the flash back scenes. It was so funny, how Aiai mocked her for not showing up during her so-called final hours! Also, the movie has a lot of surprises in store for its audiences, all of them are a must-see in this latest film. "Ang Tanging Ina Mo (Last Na 'To)" is a promising entry that will make you laugh and cry, all at the same time. And like the first two films of the franchise - it is also the best (in my opinion) among the three films which I'm sure the whole family will love. Don't dare miss it, dahil sa movie na ito, "Gagaling ka!". 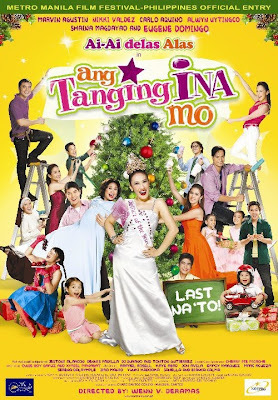 Ang Tanging Ina Mo (Last Na 'To) will be showing in over 100 theaters nationwide on Christmas Day, December 25, 2010.